Question: what do you do when your wedding rehearsal dinner venue bails on you, just a few short months before said rehearsal dinner is set to go down? 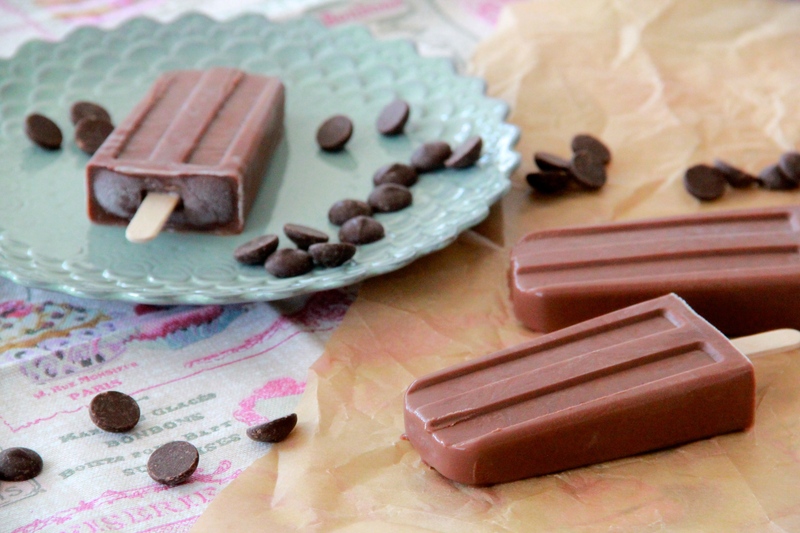 Answer: dark chocolate pudding pops. I mean first you ball up your fists and let fly a few choice expletives at the computer screen, but then you just eat like twelve popsicles, and suddently the earth doesn’t seem like such an unfair place to be just now. You know? 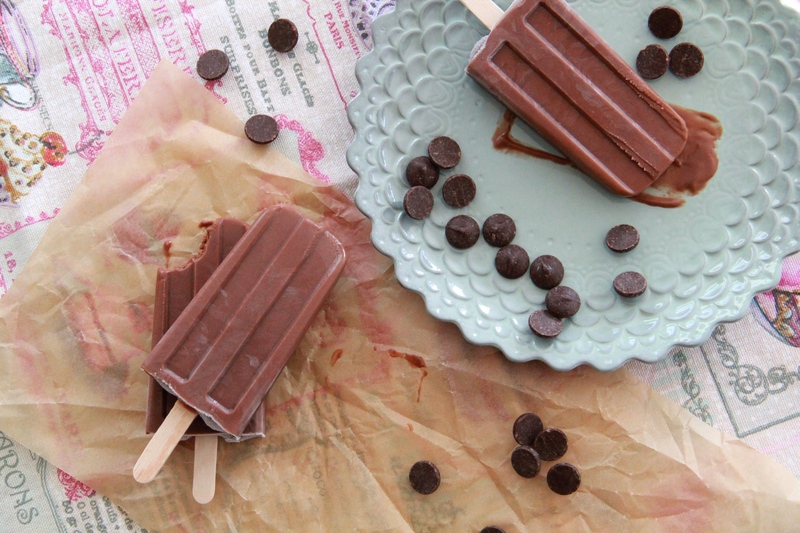 Chocolate pudding pops are actually the answer to many of life’s difficult questions. For example: How can I show my partner that I love him/her? I’m worried about global warming. How can I help keep our planet cool? What’s the meaning of life, anyway? 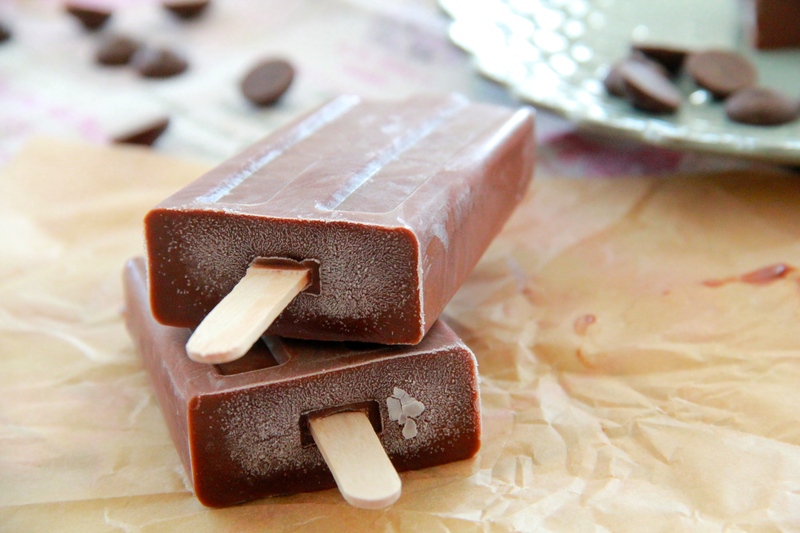 Chocolate pudding pops! …Among other things, probably. Why are my pants so tight? Whether you’re grappling with one of life’s major issues or just wondering what to serve at your 4th of July BBQ, the answer is clear: just look to the pudding pop. You’re sure to land on something sweet (and deep and creamy, too) in the end. Happy #popsicle week, everybody! I hope you’ve checked out all the amazing pop recipes that went up this week, and have been enjoying them as much as I have. This is a no-egg pudding recipe, which means you don’t have to worry about tempering or curdling or straining or anything. 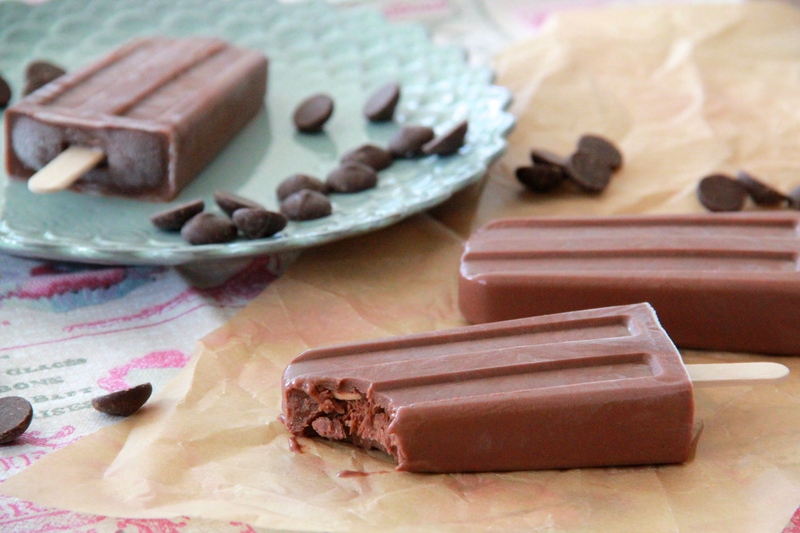 The pudding mixture comes together in a snap and is easily poured into the popsicle molds for freezing. This makes more pudding than will fit in a standard popsicle mold (I use this one), but that’s fine because PUDDING. Whisk together the cornstarch, sugar and salt in a medium saucepan. Slowly whisk in the milk, in a thin steam at first so that lumps don’t form, then more quickly once everything is smoothly incorporated. Place the pan over medium-low heat and whisk occasionally, scraping the bottom and sides. After 10 minutes or so (slower over lower heat is better, to give the cornstarch time to cook), before it starts to simmer, the mixture should begin to thicken, enough that it will coat the back of a spoon. Add the chocolate, and continue stirring for another 2 to 4 minutes, until chocolate is fully incorporated and mixture is quite thick. Remove the pudding from the heat and stir in the vanilla. Pour the warm pudding into a large measuring cup with a spout, and then carefully pour the liquid chocolate into your popsicle molds (if you have more pudding than molds, pour the leftovers into little ramekins to eat as straight-up pudding). I had enough pudding to make twelve (3 ounce) popsicles and a small bowl of pudding, to boot. Freeze the pudding pops for an hour before inserting popsicle sticks and continuing to freeze until firm. Run the pop molds under a bit of hot water to loosen the pops for serving. Makes about a dozen popsicles. Hah, Molly, you crack me up. This pops look absolutely delish! I’ll have to try these sometime soon because everything about them speaks to me. 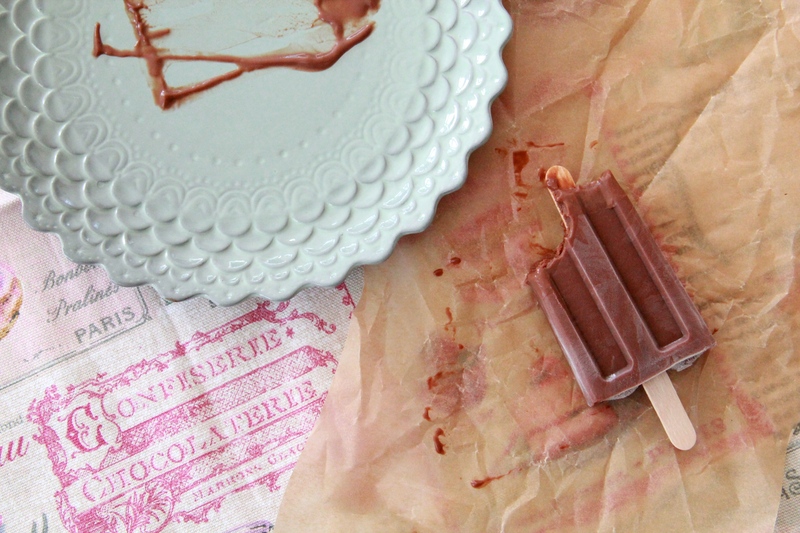 Delicious looking recipe, and such beautiful styling! I love the little white textile with pink lettering…! So pretty. Especially with the dark brown pops. Thanks for sharing this! Glad to have found your blog! Woah! These sound so delicious! Definitely making them for my little cousins!